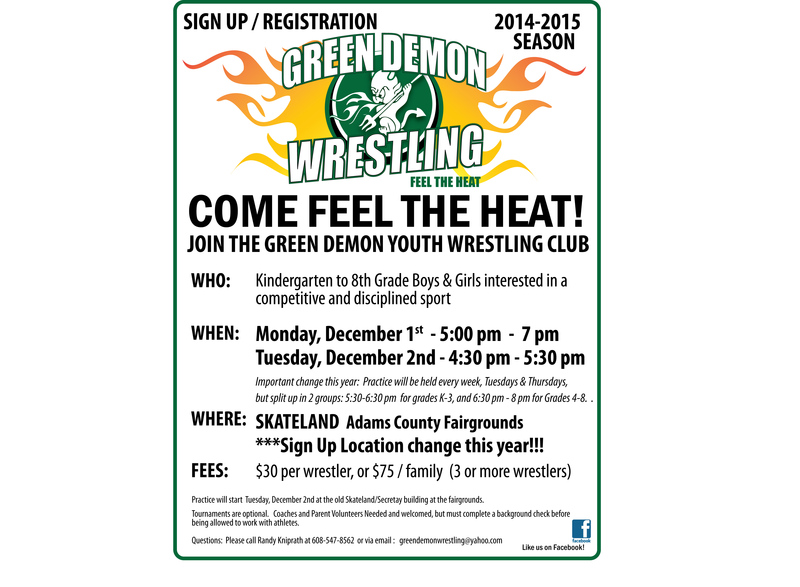 Green Demon Youth Wrestling Club | Feel the Heat! The end of Season AWARDS BANQUET / Potluck Dinner and Pizza Party with Annual Open Board and Parents meeting is set for THURSDAY, April 2nd at 6 pm AND WILL BE HELD AT SKATELAND. Please mark your calendars! We ask that every family PLEASE BRING A DISH TO PASS. Again this year, we will be taking a TEAM PHOTO AT THE BANQUET for the paper. 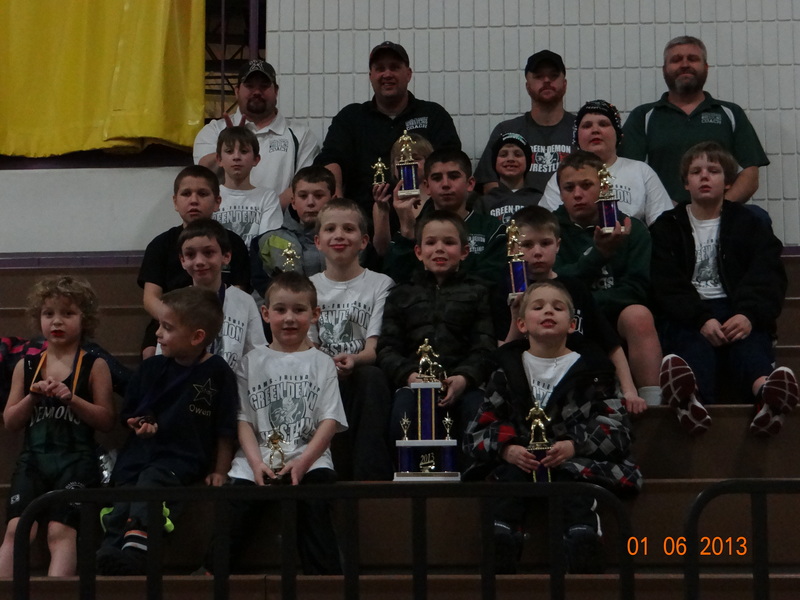 EVERY wrestler should be there with their 2014-15 Tye Dye team t-shirt on for the picture. We will be presenting awards, including awards earned for our top sellers of the Raffle Tickets earlier this year. Reimbursements and Return of Warm Up suit Deposits (if due) will take place during the banquet as well. You must return your Warm Up Suits in clean, bagged in a Ziploc Bag and Numbered with your Name and Warm Up Suit Number for the top and pants. ANNUAL PARENTS / OPEN BOARD MEETING AND BOARD VOTING will again be held during the banquet as well. There will be several board positions opening up, and the club will need volunteers for the upcoming season. 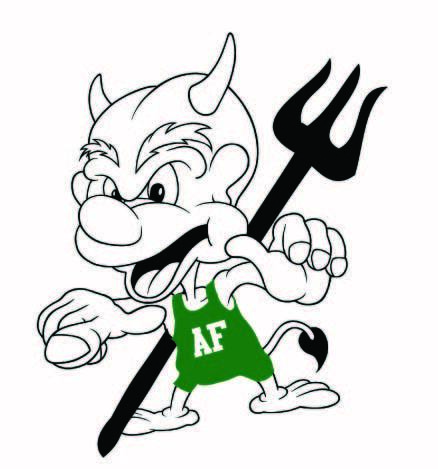 ALSO – YOU MUST BE AT THE BANQUET TO SIGN UP FOR GREEN DEMON FAMILY FUN DAY. Sign-ups are only accepted for those who attend the banquet. The Date for Fun Day will be announced. The club will be providing PIZZA, drinks, plates, napkins, condiments, silverware. Each family will need to bring a dish to pass..REMEMBER THAT WE WILL HAVE A GROUP OF OVER 100 PEOPLE FOR DINNER, so please bring an adequate amount to contribute and share. The end of Season AWARDS BANQUET / Potluck Dinner and Pizza Party with Annual Open Board and Parents meeting is set for Tuesday April 1st from 5:30- 8:30 in the Middle School commons….Please mark your calendars! Click here for the flyer and information. PLEASE BRING A DISH TO PASS. NEW THIS YEAR: We will be taking a TEAM PHOTO AT THE BANQUET for the paper. EVERY wrestler should be there with their 2013-14 team t-shirt on. (Safety Yellow) for the picture. We will be presenting awards, including awards earned for our top sellers of the Cups Fundraiser earlier this year. Reimbursements and Return of Volunteer Deposits (if due) will take place during the banquet as well. ANNUAL PARENTS / OPEN BOARD MEETING AND BOARD VOTING will again be held during the banquet as well. ALSO – YOU MUST BE AT THE BANQUET TO SIGN UP FOR GREEN DEMON FAMILY FUN DAY. Sign-ups are only accepted for those who attend the banquet. Fun Day is planned for Sunday, April 13th. Click here for the Family Fun Day Flyer. The club will be providing PIZZA, drinks, plates, napkins, condiments, silverware. 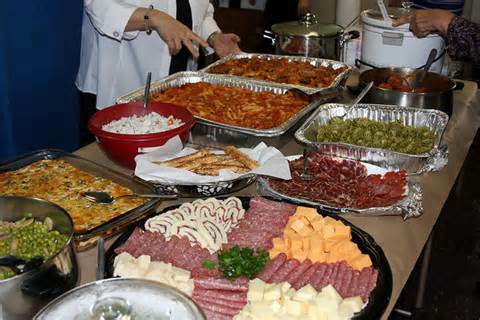 Each family will need to bring a dish to pass..REMEMBER THAT WE WILL HAVE A GROUP OF OVER 100 PEOPLE FOR DINNER. Welcome back wrestlers! This years’ sign ups are scheduled and it’s time to hit the mats once again. Sign Ups are scheduled for Tuesday, November 5th and Tuesday, November 12th, 2013 from 5:00 pm – 7 pm at the Adams Friendship Elementary. Tell all your friends – even if they haven’t wrestled before, it’s never too late! Watch for flyers to come home from your school! 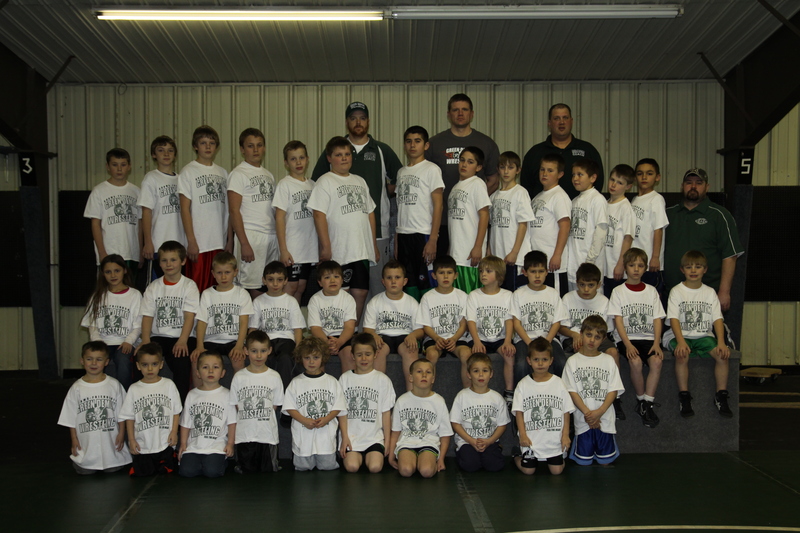 The cost to sign up is $25.00 per wrestler, or $60.00 for families with three or more children joining wrestling. If you have any questions, please call Deb Kniprath at 608-853-0416 OR Randy Kniprath at 608-547-8562. Good Luck to all of the wrestlers competing at Folkstyle Regionals this weekend! Go out there and give it your all!